Professional auto mechanics for over 20 years. With locations in National City and San Diego to serve you better! Our shop in National City, CA uses the latest diagnostic technology to get you on the road safely and quickly. At Underground Autowerks, we offer increased (dealer level) diagnostics and programming for your European and Japanese vehicles! When you call or visit Underground Autowerks in National City or San Diego, you are greeted by an ASE certified, factory trained mechanic. “Tim went above and beyond my expectations. He explains with great detail what is wrong with your car and happily shows you in the shop what caused your issues. His work is a reflection of his 20+ years of experience in automotive but his care about his customers exceeds what most can learn in a life time. He is fair and above all, aims to give you the best service possible. I visited several shops and Underground Autowerks is the only place that aims to save you money and does not upsell anything. My experience with Tim is nothing less than a solid 6 stars. To summarize my experience with him, I called the shop and requested a quote. He jotted down all relevant information regarding the car and would call back. In our second talk, he went out of his way to acquire a unique part I needed, had it shipped from Orange Country and managed to quote me at a little more than half the price of two other shops. He also explained with great detail how my issue arose (something no other shop did) and I happily set up an appointment. 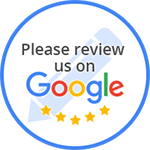 “I took my car to the Kearny Mesa location for a complete 90K service. Excellent, fast, honest and friendly. I would recommend them to all my friends - and I have. “We took my girlfriend's VW Beetle to Tim at Underground Autowerks in National City after taking it to two other places. He diagnosed and fixed a complicated electrical problem right away for a very fair price. Now we call him the Volkswagen whisperer. “I waited 2 months before writing this review to see if their work help up. I purchased a used pick-up and wanted to know what I was getting. These guys were kind enough to see me pretty much right away. They worked the vehicle over and gave me a comprehensive assessment after about 45 minutes. Two months later, I am extremely pleased that nothing new, weird, or disappointing has come up. They pretty much nailed every little item that I should expect.